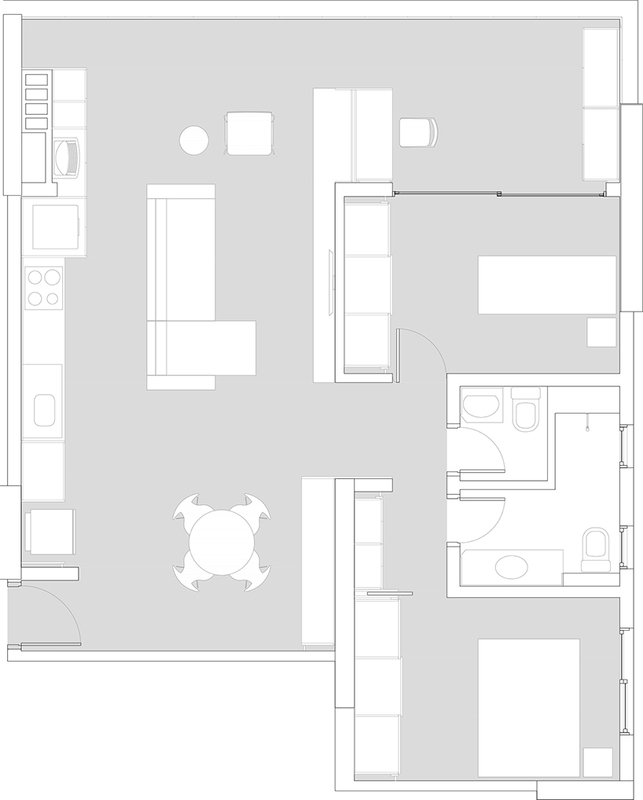 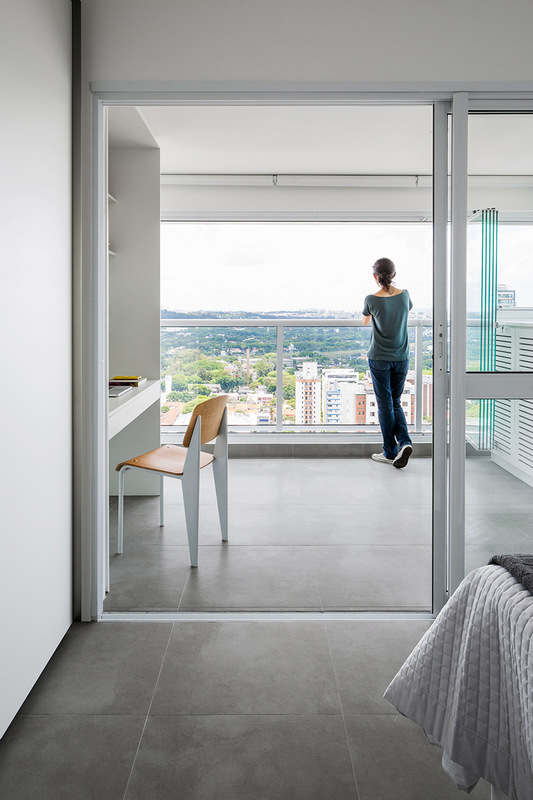 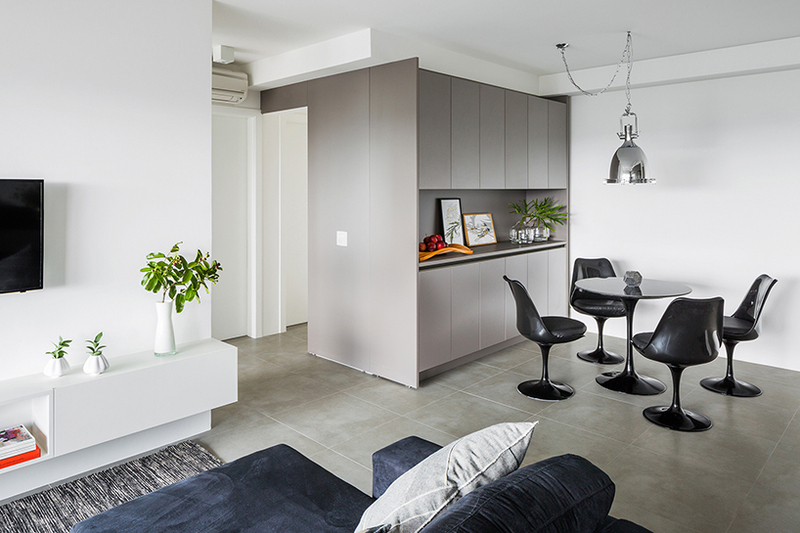 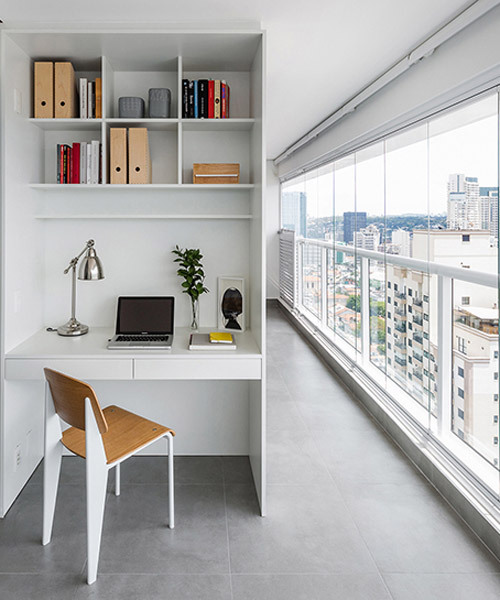 brazilian architecture firm ATM arquitetura has been commissioned to design a an apartment for a young couple living in the up-and-coming pinheiros district in sao paulo. 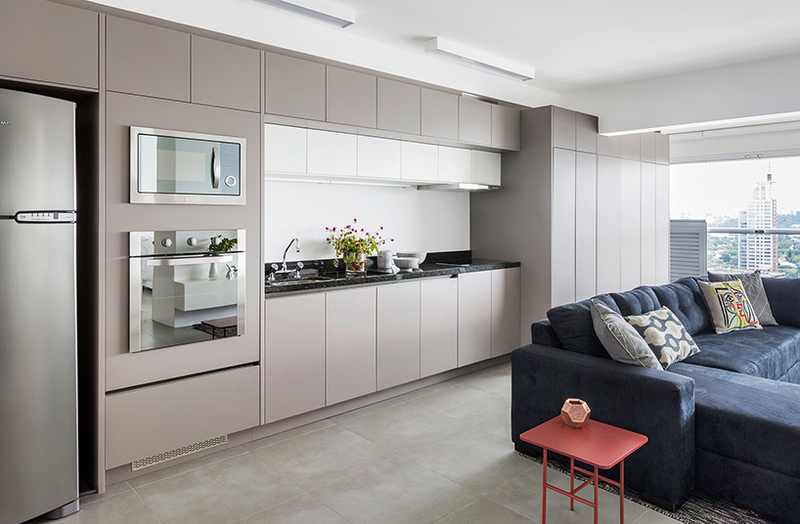 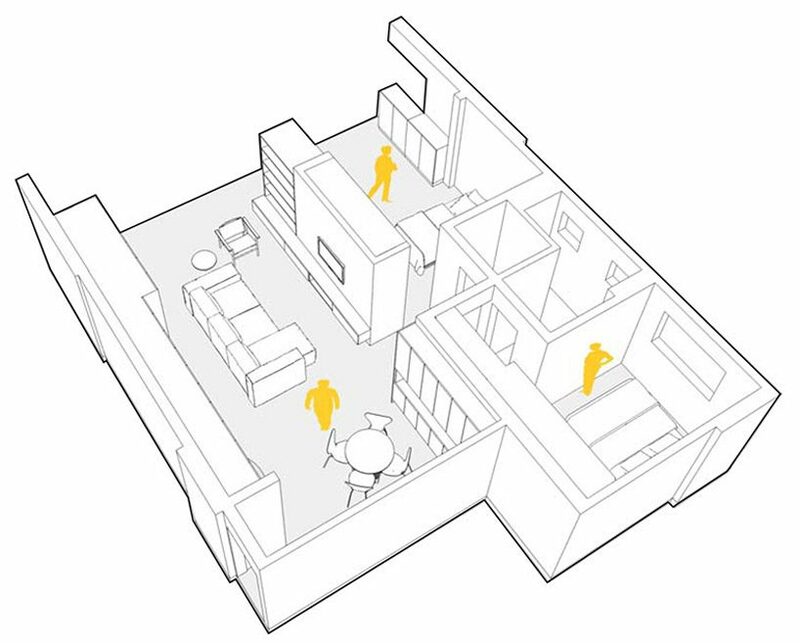 the reorganisation of this 84 sqm space includes the addition of a secondary bedroom, and a kitchen with an en-suite balcony. 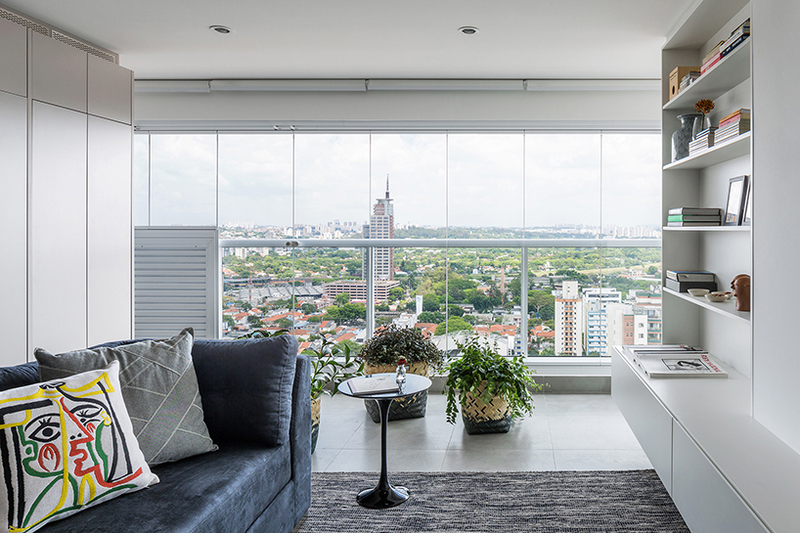 the clean-lined apartment boasts an exceptional view of the city with its panoramic glass windows. 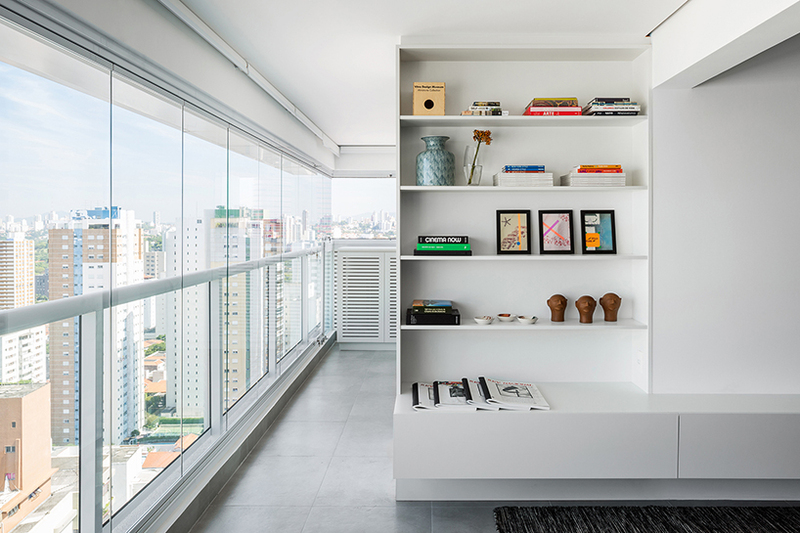 ATM arquitetura‘s quick application of dry walls in the living room, office and bedrooms create a clean and minimalist aesthetic. 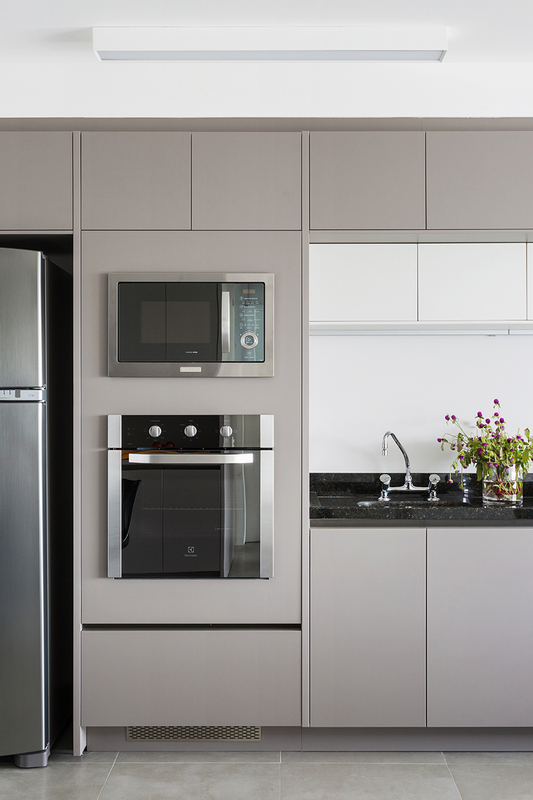 additionally, the kitchen is composed of modules, merging the cooking space with the others needs, like laundry services. 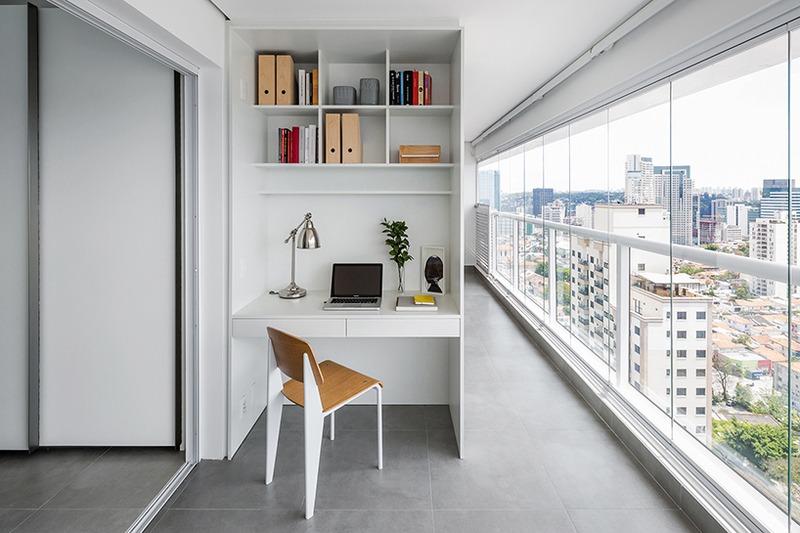 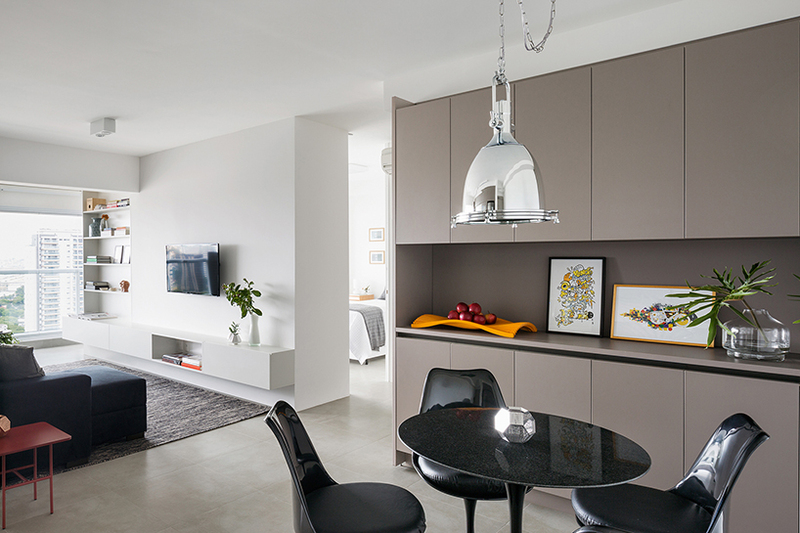 the open-space concept, as well as the panoramic glass windows, contribute to the natural illumination found throughout the spacious apartment.